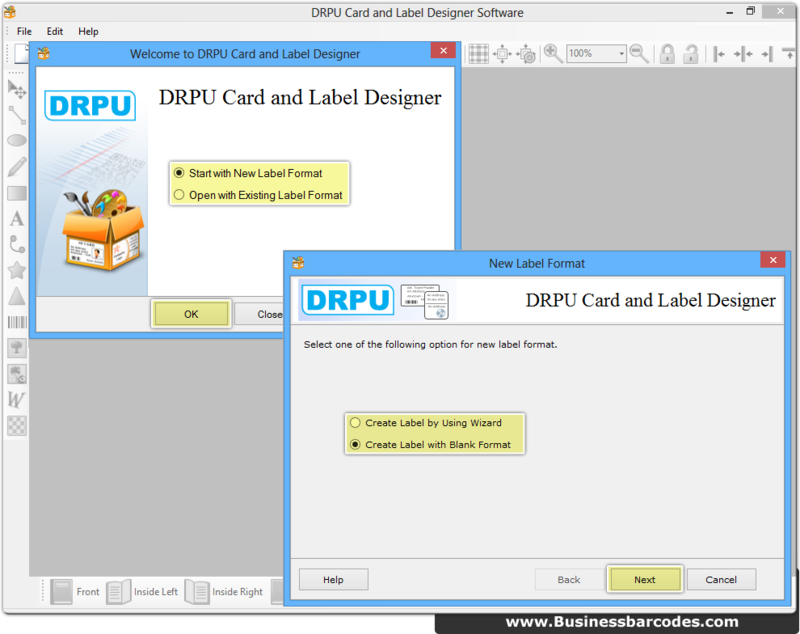 Choose mode of designing card and label using DRPU card and label software then proceed to next screen. 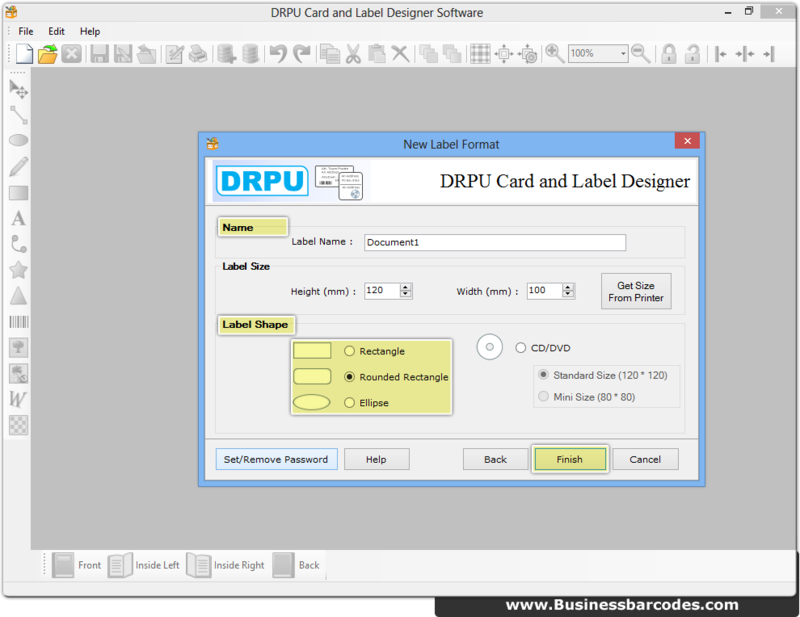 select one of the option to start designing card using new label format. Specify label name, size and shape then move to next step. 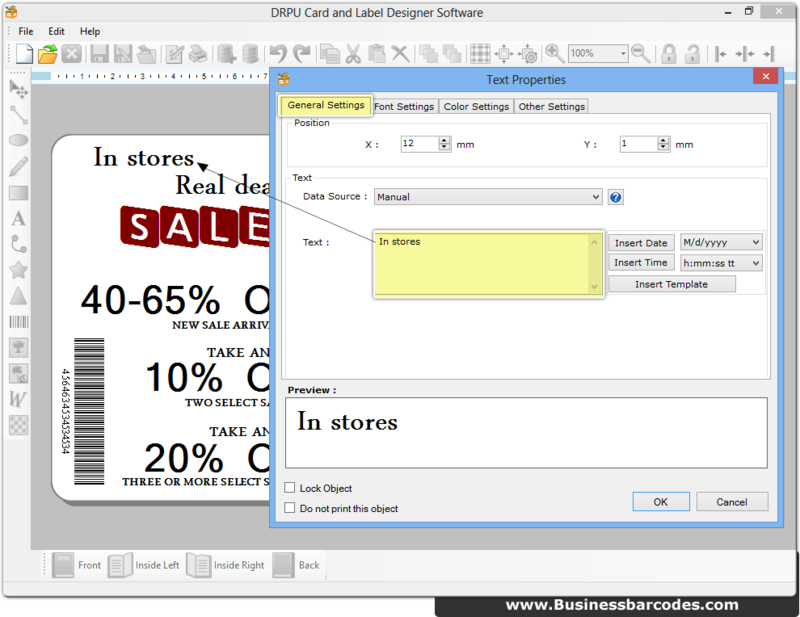 Add text, word art, barcode and various shapes using drawing tools available on left strip of screenshots. Above screenshots displays text properties including text position, Data Source etc. 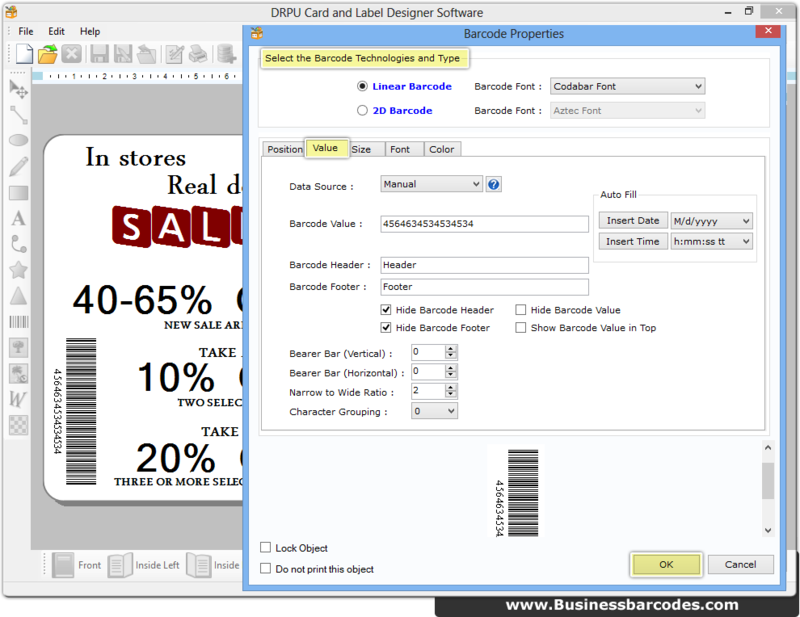 Add barcode by clicking on barcode from left side and alter barcode properties including barcode technology, font type, bar code value etc. 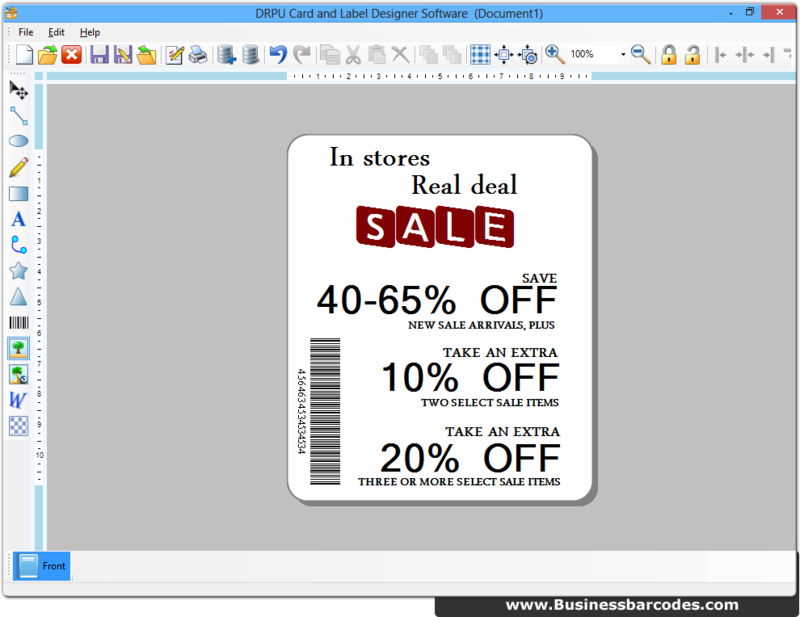 Designed Sale card using DRPU Card and Label maker software. Now you can print, save on any PC location as well as send it through inbulit email setting option.